NorthEast United will take a 2-1 lead into the second leg of their semifinal with Bengaluru FC, thanks to Juan Mascia's injury-time penalty and a stunning opener from Redeem Tlang in the first half. 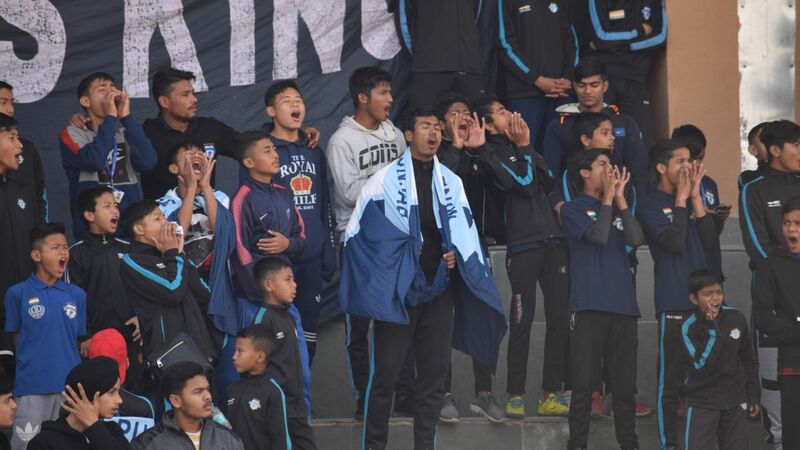 NorthEast put in a stellar performance for the majority of the game, but will rue the away goal they conceded to a moment of brilliance from Sunil Chhetri, who set up Xisco Hernandez with a wonderful assist. Here are the player ratings for each team. 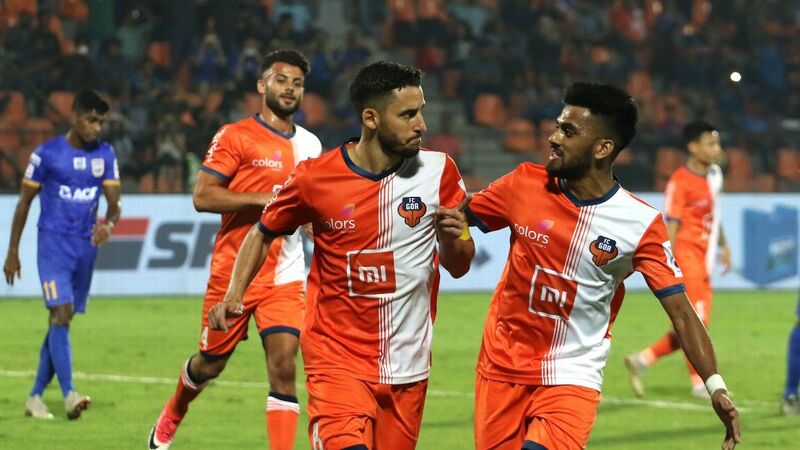 Dominated the first half -- pressing Bengaluru deep into their own half, and barely allowing them anything moving forward. As complete a performance as we've seen all season from them in that opening 45. Injuries. Their two best players this season, Bartholomew Ogbeche and Rowllin Borges limped off with what looks like hamstring injuries and they will desperately miss the duo in the return leg. And if they make it that far -- the final. 8 -- Eelco Schattorie got it spot on tactically and his team deserved to walk home with the win. The second leg, though, will be the real test of his and his team's character. GK Pawan Kumar, 6 -- Looked a touch shaky with the aerial ball but couldn't do anything about the Xisco goal. Had very little to do otherwise. 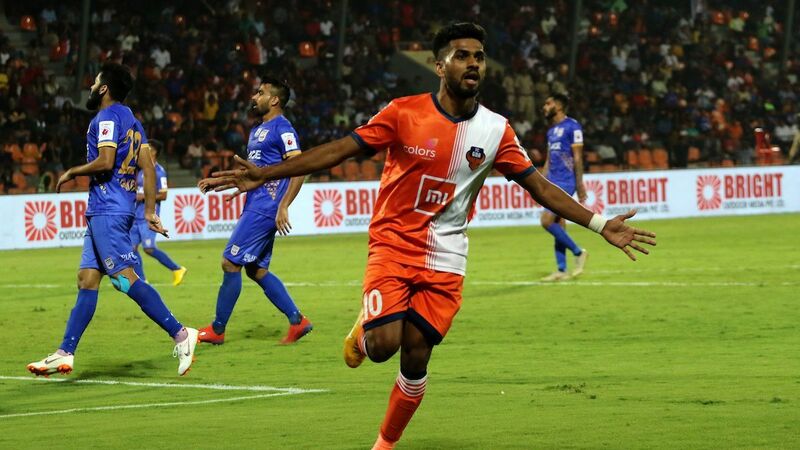 DF Reagan Singh, 7-- Was outfoxed by Sunil Chhetri in the build-up to Bengaluru's goal, but was superb otherwise both defensively and provided constant overlaps for Redeem. DF Janeiler Rivas Palacios, 7-- Was superb at the back, and rarely allowed Miku a moment to breathe in the NorthEast box. DF Robert Lalthlamuana, 8 -- Didn't allow the dangerous Udanta to get into the game at all, a faultless performance from the left back. MF Jose Leudo, 9 -- Smart with the pass, strong in the tackle, the Colombian absolutely dominated the centre of midfield, shielding his defence well and helping out in the offensive third when needed. MF Rowllin Borges, 7 -- Borges looked lively in the middle and seemed in complete control of the midfield, alongside Leudo, in the opening 45 but couldn't take to the field for the second due to a muscle injury (off at HT). Looks serious, and will have major repercussions for NorthEast's chances of keeping the lead in the 2nd leg. MF Lalthathanga Khawlhring, 7 -- Tormented Bheke with his constant off-the-ball movement and confident dribbling but faded a bit, quite naturally, during the later stages of the second half. MF Federico Gallego, 6 -- Wasn't his usual incisive self but didn't do much wrong either. MF Redeem Tlang, 8 -- Opened the scoring with an absolute belter, cutting in from the right, and curling it into the far corner with his weaker foot. Was taken off with Schattorie eyeing more defensive solidity in the closing quarter. FW Bartholomew Ogbeche 5 -- His movement constantly kept Bengaluru's defence on their toes, but he pulled his hamstring and limped off before the break (off 45' +2'). NorthEast will miss their talisman for the second leg. FW Juan Mascia, 8 (on 45' +2') -- Displayed nerves of steel to give his side the win with a 94th minute penalty -- which he himself had won. Had ploughed a lonely furrow until then with NorthEast sitting deep and will now have to do a repeat job in the return leg at the Kanteerava. MF Nikhil Kadam, 5 (on at HT) -- Was thrown on for the second half as Borges' replacement and never looked comfortable -- on, or off, the ball. The away goal. Very little to take from the performance, apart from Xisco's half-hour cameo, but that away goal may well prove crucial in the second leg. As poor a performance at the back, and in midfield, as we've ever seen from Bengaluru. Panicky, uncoordinated, and they simply couldn't live with NorthEast's quick passing and off-the-ball movement. Carles Cuadrat will be worried by what he saw, especially in the first half. 5 -- Cuadrat took a risk throwing Álex Barrera in the deep end right from the off and it did not pay off. Introducing Xisco, though, corrected that mistake to an extent but it was a touch inexplicable as to why he kept Barrera on for the full 90. GK Gurpreet Singh Sandhu, 5 -- Redeem's was a supreme finish, but a goalkeeper of Gurpreet's stature might look at himself a little critically there. No chance with the penalty. DF Rahul Bheke, 4 -- Struggled in the first half, trying too much on the ball and unable to keep up with Khawlhring's and Gallego's movement in behind him. Looked a little more comfortable in the second after he moved into the centre, but that was largely due to NorthEast's pragmatism. 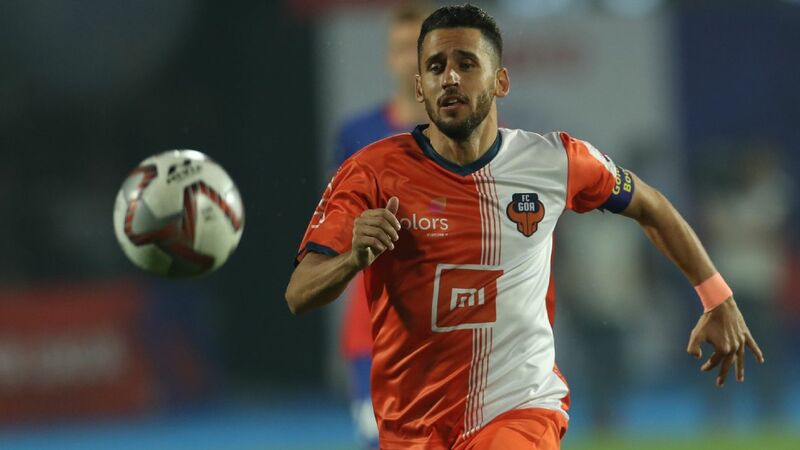 DF Alberto Serran, 7 -- Looked the best of the Bengaluru defenders on the night, making a couple of crucial interceptions and well-timed tackles to limit NorthEast to a single goal during a first half where they were palpably superior to the Blues (off 59'). DF Juanan Gonzalez, 6 -- Looked unusually shaky with Ogbeche having his number in the first 45, but once the Nigerian went off, he had very little to do at the back. DF Nishu Kumar, 5 -- Struggled against the movement and trickery of Redeem but like the rest of his backline had a much quieter, much more comfortable second half. Will be unhappy with what he produced moving forward, though. MF Alex Barrera, 3 -- Got off the flight from Extremadura (who play in Spain's Segunda division) and walked straight into an ISL semifinal. Looked off the pace, and out of sync with everyone else in blue. A jet-lagged slightly lost man. MF Harmanjot Khabra, 3 -- A rugby tackle on Juan Mascia gifted NorthEast a penalty which Mascia himself converted. Had looked relatively comfortable in his converted right-back role until then. In the opening 45, though, he'd been all at sea alongside the hapless Barrera, his new midfield partner. MF Udanta Singh, 4 -- Was he really on the pitch? Had barely a kick and when he did get the ball, looked rather surprised at finding the ball at his feet. MF Dimas Delgado, 6 -- Looked considerably better when he slipped into a deeper role with the introduction of Xisco and had a decent last half-hour. 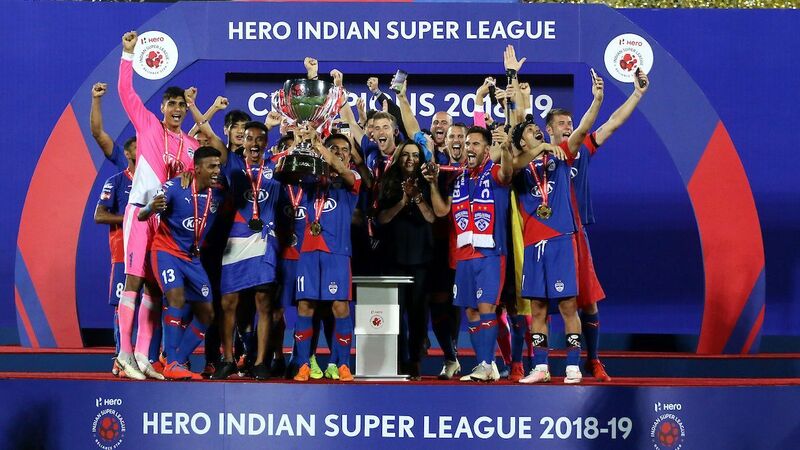 MF Sunil Chhetri, 8 -- Was isolated for large tracts of the game, but one moment of genius illuminated the match -- a superb bit of skill under intense pressure that helped him provide the assist for Xisco's goal. FW Miku, 6 -- Made a couple of interesting looking runs, but his finishing was off key. 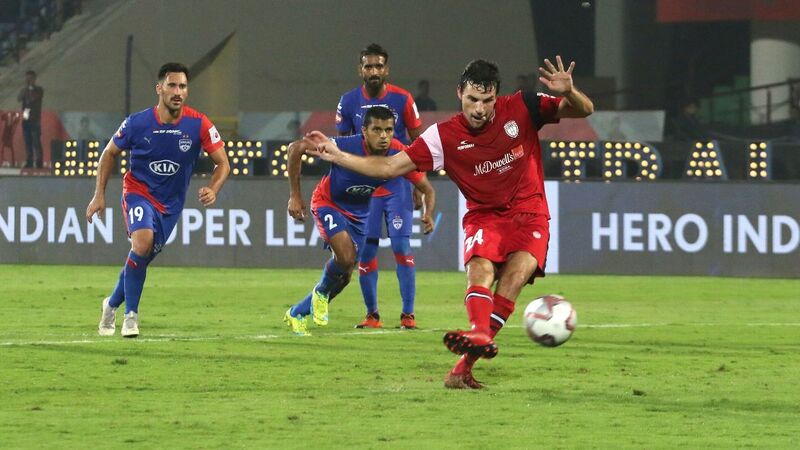 MF Xisco, 8 (on 59') -- Looked the best player on the pitch from the moment he came on and capped a good performance off with a lovely finish to bring Bengaluru level.